the soprano Adrianne Pieczonka will play Winterreise Franz Schubert inside of the XXV Ciclo the Song which co-produced the National Dissemination Center Musical (CNDM) and the Teatro de la Zarzuela. The concert will be Monday 28 January at 20h00 at the coliseum itself the Plazuela de Jovellanos, and has raised a special expectation since 'Winter Journey' is considered one of the fundamental works of the genre, and Canadian singer, which will be accompanied by pianist Wolfram Rieger, one of his most representative voices. tickets, with a general price 8 a 35 euros, and are on sale at the box office of Teatro de La Zarzuela, INAEM theaters, www.entradasinaem.es Y 902 22 49 49. 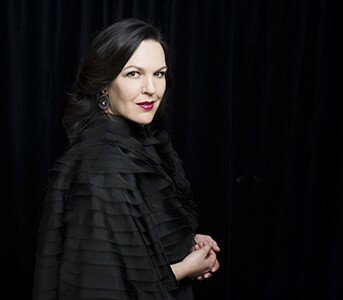 “internationally renowned for his interpretations of Wagner, Strauss, Verdi and Puccini, Adrianne Pieczonka He has embodied powerful heroines like Senta, Chrysothemis, Sieglinde, la Mariscala, the Empress, Tosca, Elisabetta and Amelia in major venues in Europe, North America and Asia. She has sung at the Metropolitan Opera in New York, Royal Opera House Covent Garden, Vienna, Paris, Berlin, Madrid, Munich, Frankfurt, Los Angeles and La Scala, as well as the Salzburg Festival, Bayreuth, Glyndebourne is Aix-en-Provence, directed by James Levine, Riccardo Muti, Zubin Mehta, Sir Neville Marriner, Claudio Abbado, Richard Bradshaw, Lorin Maazel, Nikolaus Harnoncourt, Anthony Pappano and Sir Georg Solti. Recent and future engagements include Elektra (Barcelona Liceu, San Francisco, Metropolitan Opera New York), Tosca (Toronto, Vienna, London), A masked ball (Vienna, Munich), Fidelio (Metropolitan Opera), Die Frau ohne Schatten y The Flying Dutchman (Munich), Der Rosenkavalier (Munich and New York Carnegie Hall) and Tosca (State Opera Berlín), among others. Pieczonka is also an accomplished artist in the concert repertoire and recitals, and it has been presented with great success at the Vienna Konzerthaus, Salle Pleyel in París, Lincoln Center and Carnegie Hall in New York, London Proms, Edinburgh Festivals, Lucerne, Montpellier and Salzburg. He has recently sung the Four Last Songs with the Vancouver Symphony Orchestra and Die Winterreise with pianist Rachel Andrist in Toronto. Canadian soprano studied at the University of Western Ontario and Toronto, and he began his career at the Canadian Opera Company in Toronto. In 1989 He was hired as a soloist at the Vienna Volksoper and 1991 He joined the company of the Wiener Staatsoper, where he began his international career. In March 2007 Kammersängerin was named by the Austrian government.